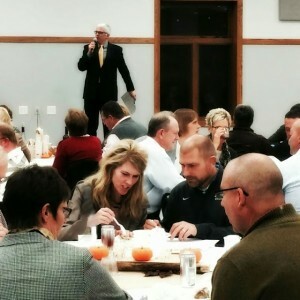 I met with Dr. Meade, our district superintendent, for a brief update several days prior to an event she was looking forward to: the Winterset Educational Foundation’s “Fall Fling” fundraiser, which was held last Monday night. 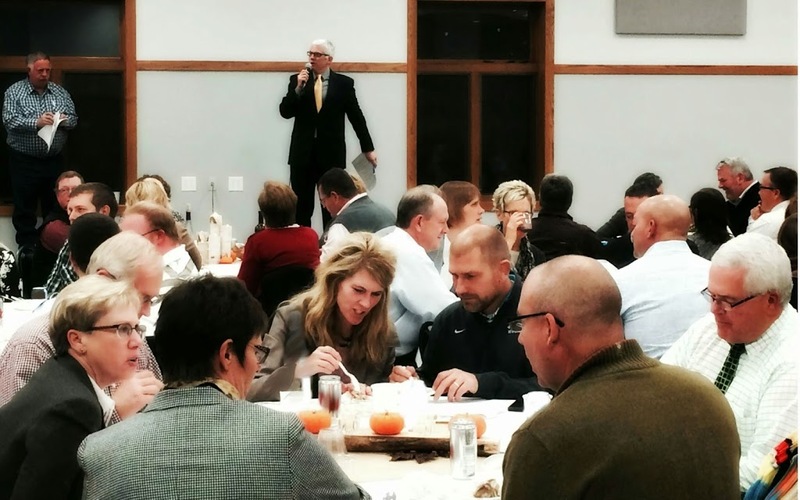 There were a lot of Winterset faculty and staff members there to support our students and the work of the Educational Foundation at the Fall Fling. As of Wednesday afternoon, Amy Nolan wasn’t quite sure how much the fundraiser brought in, but the attendance was definitely good, and there were some very generous donations. All the proceeds from that event each year go to support curriculum enhancement and the “extras” that meet the individual needs and interests of kids. 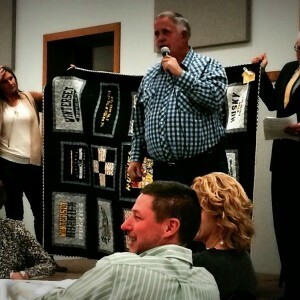 Clarice Blanchard of the Educational Foundation helped to display a Winterset t-shirt quilt that was donated by Kim Patience, along with emcee/board member Alan Feirer and auctioneer Roy Foley. “Tuitioned Out” refers to those who have open-enrolled to other districts. In the majority of cases, Dr. Meade said these are folks who live on the edge of the district, such as the northeast corner, who find that it works better logistically to take their kids to school in the district where they work. This number is down to 112 from 120 last year. Also, the “Tuitioned In” number not shown here. 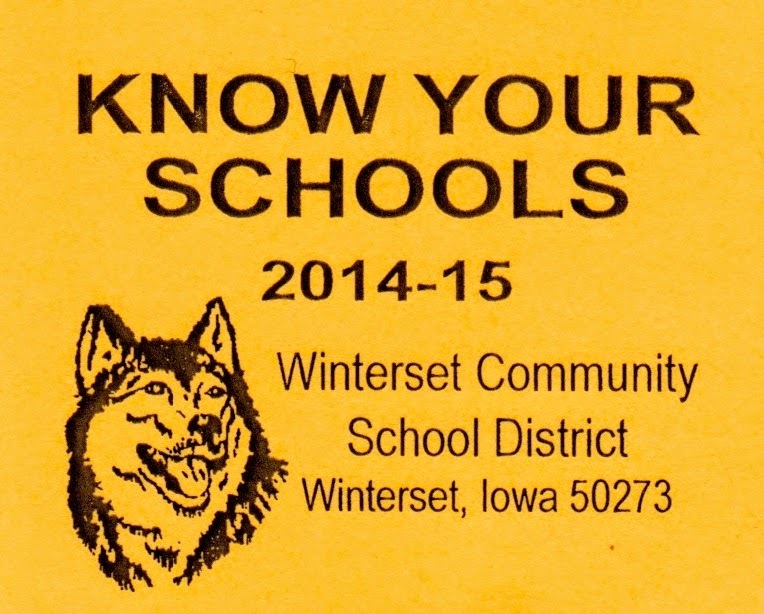 Those who have open-enrolled into Winterset schools is 108 — nearly even. Speaking of transportation and logistics, our drivers are seriously busy. 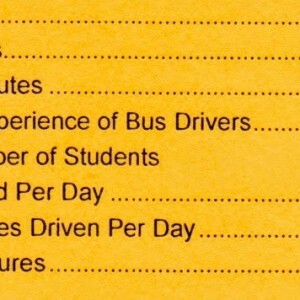 The total number of miles driven per day is now at 1,551, and Dr. Meade pointed out that this was a significant jump up from last year, in which the daily number was 1,020. 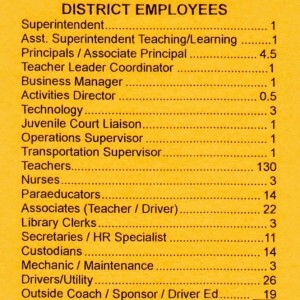 How many teachers do we have serving our 1,725 students? 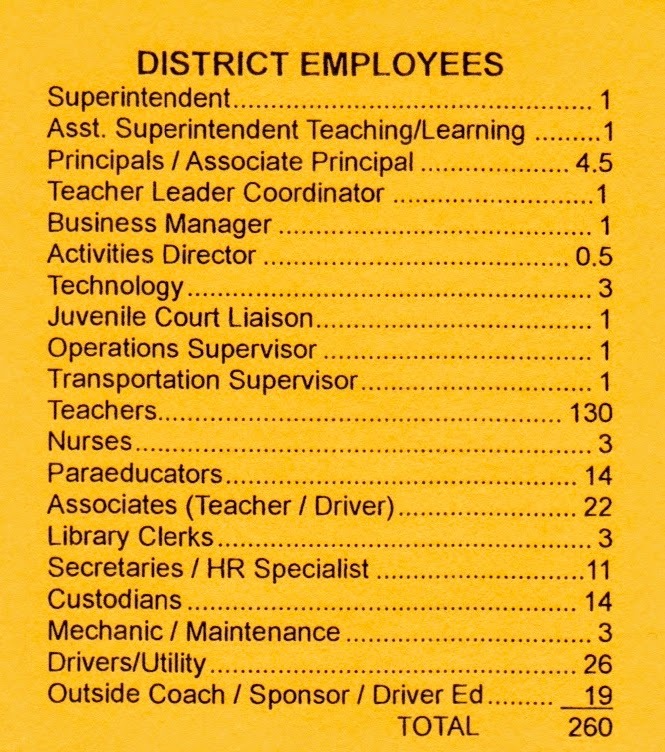 There are 260 district employees, including 130 teachers, and as a staff, they are getting younger. This year, that difference has to do with the age difference between those who moved on to curriculum and instructional coach positions and the new teachers that moved into those openings. 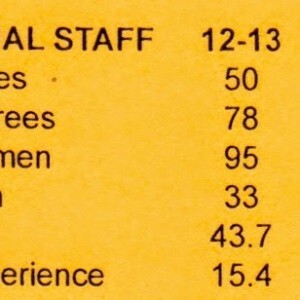 And how are our students faring in proficiency, collectively? 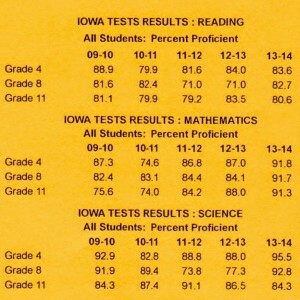 On the Iowa Tests, math scores in grades 4, 8 and 11 are on the rise, and significant gains have been made in reading as well. 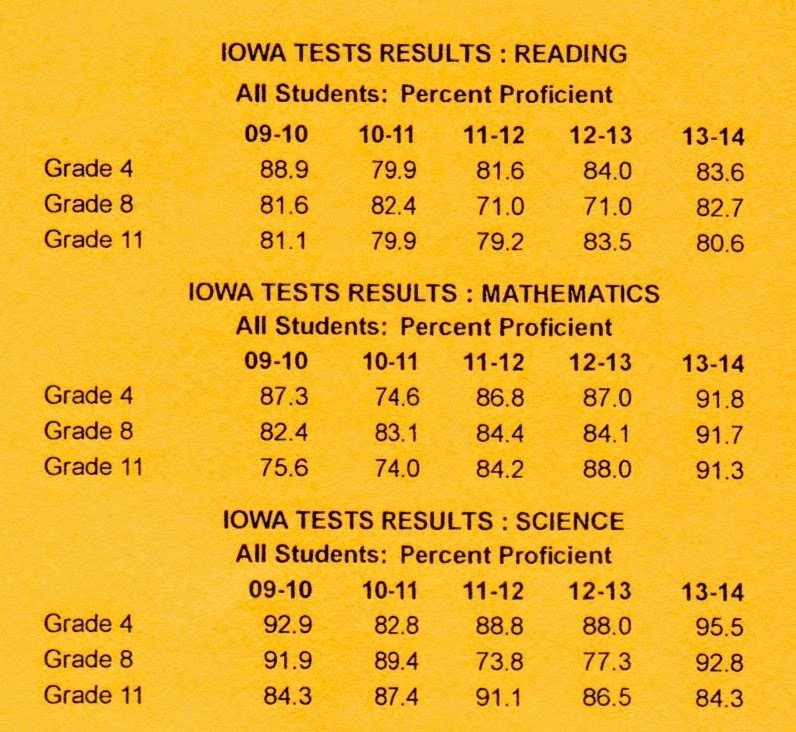 It’s important to know these numbers, of course, but Dr. Meade would agree that the story of our schools is much more than what can be summarized in a chart. It has to do with the extra opportunities that events like the Fall Fling make possible. 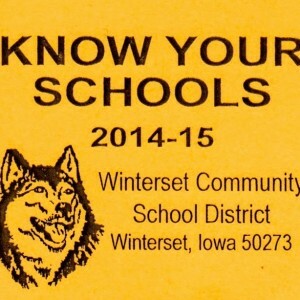 To get a better sense of the whole picture, follow @WintersetHusky on Twitter and check out all the departments and programs on the district website. There you will see and hear what our students are achieving and how the adults surrounding them are giving them wings. 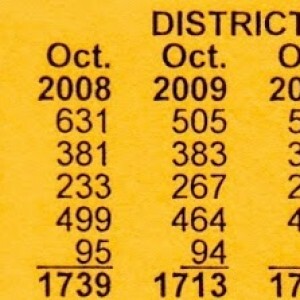 Here’s a great recent example to lift up, not reflected anywhere in the numbers. 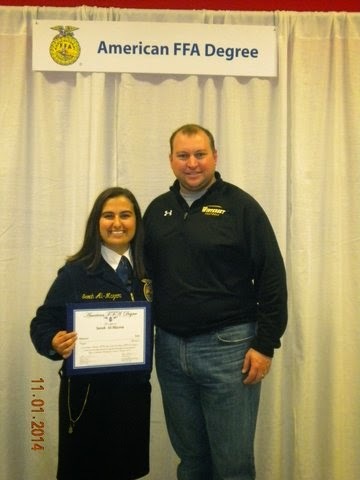 Winterset grad Sarah Al-Mazroa received the FFA American Farmer Degree at the National FFA Convention in Louisville on November 1st. 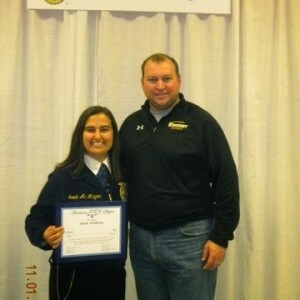 She is the first WHS FFA Chapter member to do so. Sarah’s mother, Darla Millhollin, credits teacher and FFA advisor Michael Peiffer as “a huge reason” that Sarah became part of the 1% of FFA members who receive this honor. Sarah is currently an ISU junior majoring in Animal Science. If you are a WHS graduate, take a moment to watch this video posted on YouTube by Lewayne White, WHS class of ’90. You’ll be transported back in time to the folks who did the same for us. I literally sobbed at one point and laughed out loud at another. Thank you, Lewayne, for this project! I know I’m missing some. Who do you recognize? 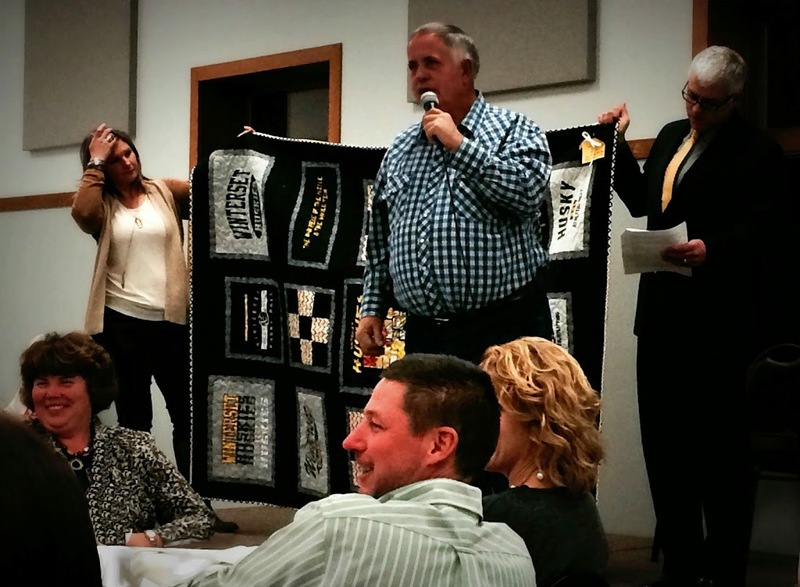 Thank you for reading The Winterset Citizen today, and thank you for supporting our schools!